What: Transport Dept. Govt of Karnataka is organizing a programme “Safe Road for Kids” to discuss the mobility issues faced by children in association with RideACycle Foundation on the occasion of Childrens Day. When: 14th Nov, 2009 Childrens Day. Entry: Open to all. No entry fee. RideACycle Foundation along with the bikers from Bangalore Bikers Club with support from Decathalon Stores, Wheelsports & Bums on the Saddle helped organize a biking workshop at Symbiosis Campus at Electronics City. This was done in collaboration with the Social Responsibility Committee – team ‘Dayitva’ at Symbiosis Institute of Business Management (SIBM). Find the detailed report on Citizen Matters. RideACycle Foundation donated 12 bicycles, to students of Deeksha PU college, Bangalore who are under the education support programme by Swami Vivekananda Youth Movement (SVYM) and another cycle to a student under the India Literacy Project (ILP). The format of the BSA Hercules Duathlon is unique. 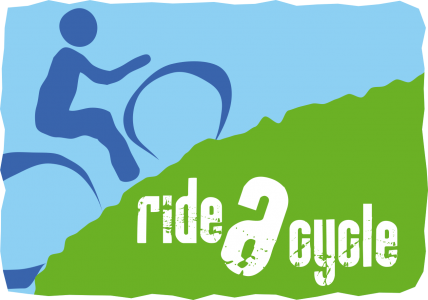 It is a first-of-its-kind, run+cycle event in the country. Runners for Life has organizeed the event in partnership with RideACycle Foundation. To formulate a base structure for capacity building of the city of Bangalore and outline a plan for inputs needed to make the city self-sufficient to implement plans on cycle inclusive transport systems. To put together an action plan that will identify both short term and long term plans such as, demonstration projects with implementation timeline and get commitment from the stakeholders to their roles in its implementation. The action plan will also identify long term needs such as, Bangalore Cycle Master Plan, Institutional Arrangements, and Capacity Building. RideACycle Foundation requests you to participate in the workshop and help in planning towards making Bangalore a Cycling friendly city. A 7-day, 919 km ride across the Nilgiris covering the states of Karnataka, Kerala and Tamil Nadu between 25 December 2008 and 1 January 2009. Bangalore – 560097 Karnataka, India.